If reports are to be believed, Karan Johar wants to bring Alia Bhatt, Varun Dhawan and Siddharth Malhotra together in ‘Student of the Year 2’ but as Alia wants to maintain distance from ex Siddharth so she doesn’t want to shoot with him. According to a source, “Varun don’t have any problem in doing the shoot but Alia has problem. In the main lead roles in SOTY 2 Tiger Shroff, Ananya Pandey and Alia, Varun and Siddharth has a Cameo in Soty2 because in the SOTY was the first film of Varun, Siddharth and Alia. Varun has already given his nod to shoot. Alia is not in a comfort zone with Siddharth, anymore. After all, all exes cannot be friends.” Though there is no confirmation on the reason behind Alia and Siddharth breakup, but people believe closeness between Siddharth and Jacqueline caused the rift. 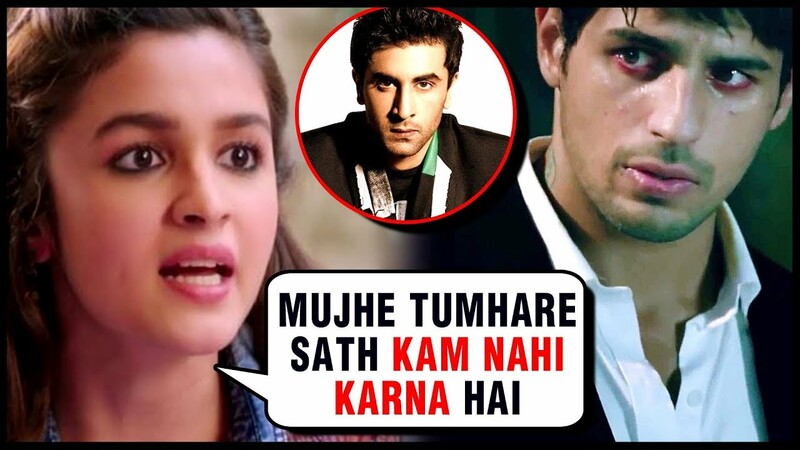 Alia might also be avoiding Sidharth because of Ranbir in an old episode of ‘Koffee with Karan’ he had said that he is very possessive about his girlfriends and feels jealous easily. It is yet to be seen if Alia and Siddharth will ever share screen. Alia ignores Siddharth Malhotra few days ago when Bollywood meets Narender Modi then Alia with her Boy Friend Ranbir Kapoor and Siddharth tease her. Alia have no words for Siddharth. She has childhood crush in Ranbir So when Ranbir comes in a film with Alia. She had no another option because as depends on time the bonding of Ranbir and Alia is strong now. In 2019 both are come in a movie together, their fans was excited to watch together the new Jodi of Bollywood. After Gully boy with Ranveer then Varun Dhawan in Kalank and Last in the year with Ranbir Kapoor.